For those of you mothers that are nursing your babies, finding a place with some privacy is tricky at sporting events. 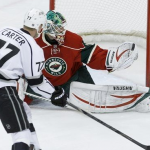 Often, you have to breastfeed or pump your breast milk in the women’s rest room or if you don’t want to have to deal with taking care of your baby at the game, staying at home. But, the Minnesota Vikings are going to change that. 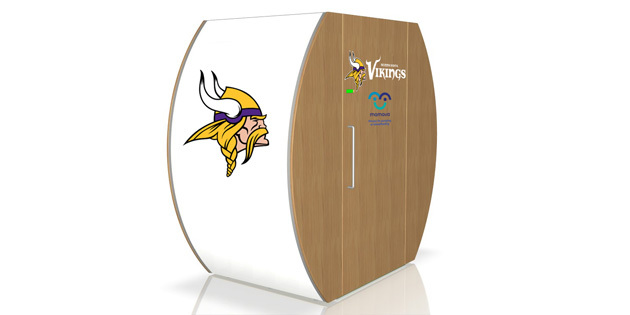 It was announced recently on the Vikings Website that the Vikings are going to install Two Mamaval lactation pods at TCF Bank stadium, in time for the October 18 game against the Kansas City Chiefs. They will also install two of these pods at Winter Park in Eden Prairie and will also install these pods at U.S. bank stadium. The 4-foot by 8-foot pod features comfortable benches, an electrical outlet for plugging in a breast pump and a door that can be locked. These pods were created by Mamaval, a company that strives to make it easier for women to achieve their breastfeeding goals. The Vikings are the first NFL team to partner with Mamaval to install these units. Taking a baby to an NFL game would be quite difficult, and this can help those crazed football loving mothers still be able to take care of their child while cheering on their favorite team. However, I imagine many nursing mothers will use these to pump when their baby is home. Nursing mothers can only last so long without getting rid of their milk, and with no baby around, these mothers need a private place to use their breast pump. Kudos to the Vikings for thinking of their female fan base.